New international terrain for hockeydata in February! 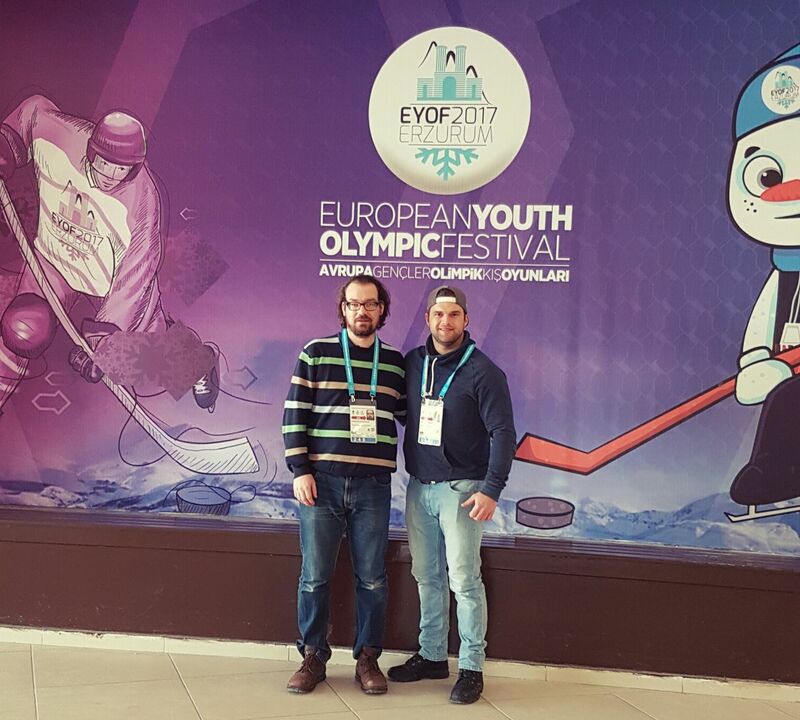 From 11th till 18th February 2017 hockeydata contributed the official statistics for the hockey tournament of the European Youth Olympic Festival 2017 in Erzurum (Turkey) in cooperation with Swiss Timing. Our team consisting of Michael Rotheneder and Christoph Pachmajer gathered all statistics to the games of the participating teams from Turkey, Russia, Belarus, France and Slovakia. Already the opening game between host Turkey and Russia made our statisticians sweat – historical 42 goals on the Russian side had to be entered (final score 42:0). The Russians also won out over Belarus in the final game (final score 7:1) and ensured the victory of the tournament. We are very proud to have made an essential contribution to this great international event and we hope that many more are yet to come!